Returns the number of device pixels between the value passed to the method representing a series point value on the chart scale. A float representing the number of pixels between a value. 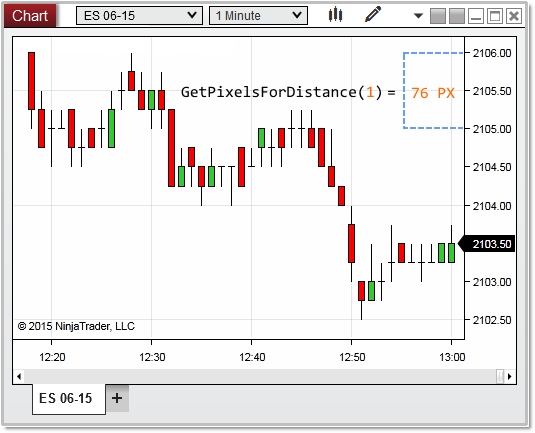 In the image below, we pass a value of 1 for the distance, which tells us there are 76 pixels for every 1 point on the ES 06-15 chart scale.